The boxer, who spent 19 years in prison on a wrongful murder conviction, had prostate cancer. 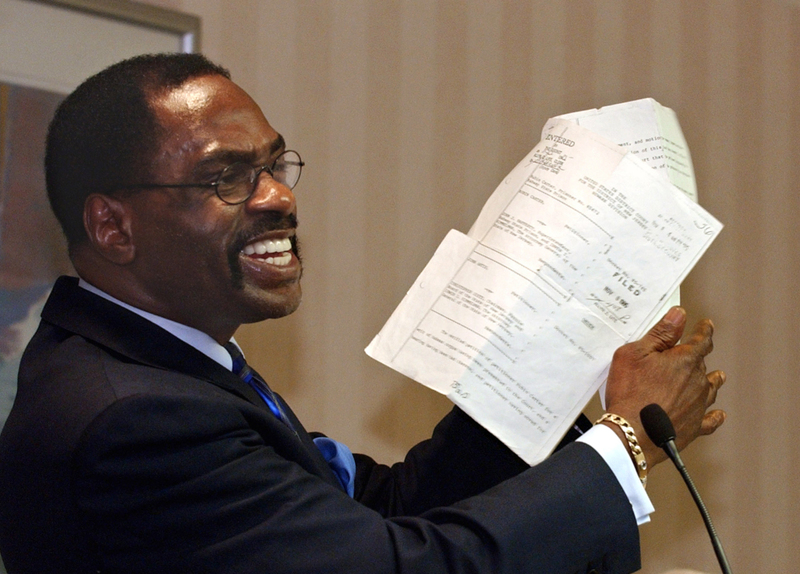 Rubin “Hurricane” Carter, the boxer whose wrongful murder conviction became an international symbol of racial injustice, died Sunday. He was 76. He had been stricken with prostate cancer in Toronto, the New Jersey native’s adopted home. John Artis, a longtime friend and caregiver, told The Canadian Press that Carter died in his sleep. Carter was freed in November 1985 when his convictions were set aside after years of appeals and public advocacy. His ordeal and the alleged racial motivations behind it were publicized in Bob Dylan’s 1975 song “Hurricane,” several books and a 1999 film starring Denzel Washington, who received an Academy Award nomination for playing the boxer turned prisoner. Muhammad Ali spoke out on Carter’s behalf. Advertising art director George Lois and other celebrities also worked toward Carter’s release. Carter and Artis were questioned after being spotted in the area of the murders in Carter’s white car, which vaguely matched witnesses’ descriptions. Both cited alibis and were released, but were arrested months later. A case relying largely on the testimony of thieves Alfred Bello and Arthur Bradley resulted in a conviction in June 1967. Carter’s papers will be sent to the Rubin Carter/John Artiz Innocence International Project at Tufts University outside Boston, Kidrin said. The makers of “The Hurricane,” however, were widely criticized for factual inaccuracies and glossing over other parts of Carter’s story, including his criminal past and a reputation for a violent temper. Giardello sued the film’s producers for its depiction of a racist fix in his victory over Carter, who acknowledged Giardello deserved the win. Carter wrote an opinion essay for the New York Daily News in February, arguing vehemently for the release of David McCallum, convicted of a kidnapping and murder in 1985.